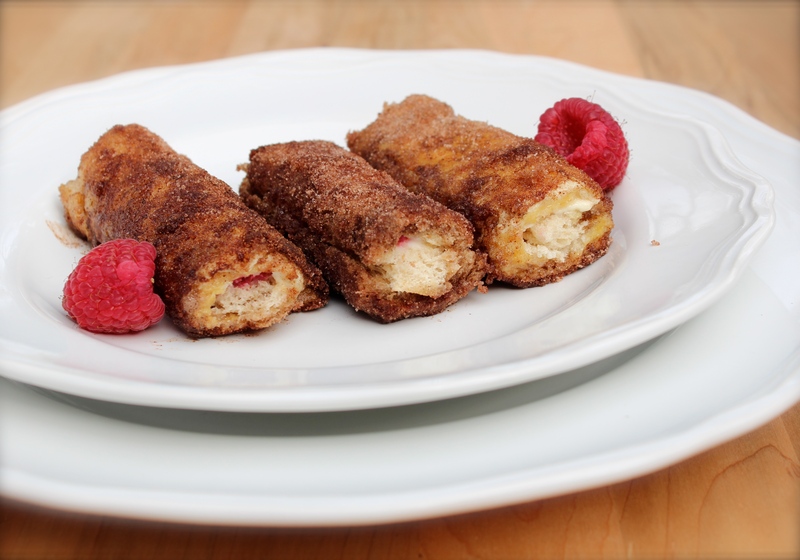 Happiness Project#52: Raspberry French Toast Rolls! It’s been a rough week. Or in all actuality, a rough month. From the day I was born 3 months premature, I fought for my lungs. My breath. My Life. And 36 years later, I’m still fighting. For my lungs. My breath. And my Life. In more ways than ever before. And although I am immensely blessed to be surrounded and uplifted by a very strong, loving group of Family & Friends, there are still days and nights where I feel very alone in this battle of mine. Because the truth? Unless you’ve been there, and walked in my shoes, particularly within the last 4 to 5 years, there’s only so much that anyone else can truly understand. And only so many ways that I can try to vocalize the things that I feel and think. Which leads to this week’s struggle with myself and my lungs. Resulting in 2 new inhalers, which leave me shaky, dizzy and horribly tired. As in “I can’t even see straight, more or less stand upright” shaky, dizzy and tired. So needless to say, it’s been one of THOSE weeks for me. One of which I cannot wait to be done & over with. Anyhow, since you all know that baking is the one form of therapy that keeps me going, when I’m at my lowest, I desperately wanted to whip up something quick & pretty, with lots of taste. With fruit. Because holy geez, am I so READY to indulge in my favorite fruits this season! So. Ready. Firstly, after removing the crusts, gently roll flat each bread slice, using either a rolling pin or the flat palms of your hands. Line up each flattened slice onto a flat plate and set aside. Place the half cup of raspberries into a small bowl and flatten (or crush) each of them up with a fork, until the texture is pulpy and nearly smooth. Using a small butter knife, spread out about a tablespoon & a half of cream cheese onto each bread slice. Try to spread on the cream cheese as evenly as possible. Now, on the bottom lip of each bread slice, spoon on up to 1 tablespoon of the crushed raspberries. With the tips of your fingers, firmly but gently roll up the bread slice, starting with the bottom lip (with the raspberries), all the way to the top. Once each slice is rolled up, set aside. In another bowl, whisk together the eggs, milk and vanilla extract. Dredge each roll up in the egg batter, covering throughly. Now to the frying pan! In a medium sized frying pan, on meduim-high heat, drop 2 tablespoons of butter into the pan, letting the butter coat the entire pan. Once the melted butter starts bubbling slightly, drop 2 to 3 french toast roll ups into the pan, turning the roll up over once or twice to create an evenly fried skin. If there’s not enough butter on the pan while you’re working through each set of 2 to 3 roll ups, add in another tablespoon of butter between each set. While each roll up is still hot from the pan, transfer each piece to the bowl with the cinnamon & sugar mixture and generously coat. Because what’s french toast without a lovely helping of cinnamon-sugar?? Not French Toast, I believe. Serve immediately. With MORE fruit. Because there’s no such thing as too much fruit for breakfast. Well, to me there isn’t. « Happiness Project#51: Cinnamon Roll Crumb Cups! Totally drooling over here! Looks and sounds amazing!